Dubai ruler Sheikh Mohammed bin Rashid Al-Maktoum praised PM Ardern's "support to the Muslim community" after a white supremacist gunman attacked two mosques on March 15, killing 50 people. 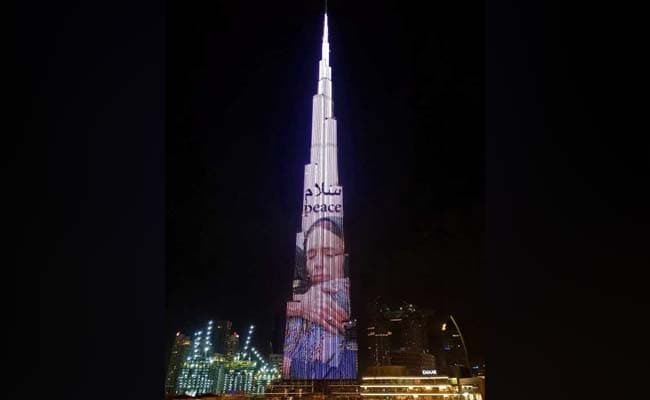 A photo from Dubai's Public Diplomacy Office showed Burj Khalifa lit up with a picture of PM Ardern in a hijab, warmly embracing a Muslim affected by the tragedy, under the word "peace" in Arabic and English. PM Ardern has been widely praised for her handling of the tragedy, meeting victims' families and moving quickly to tighten gun laws while calling for global efforts against extremism online.